Track every detail of your business endpoints. Fast, cost-effective tool for profiling your IT resources. 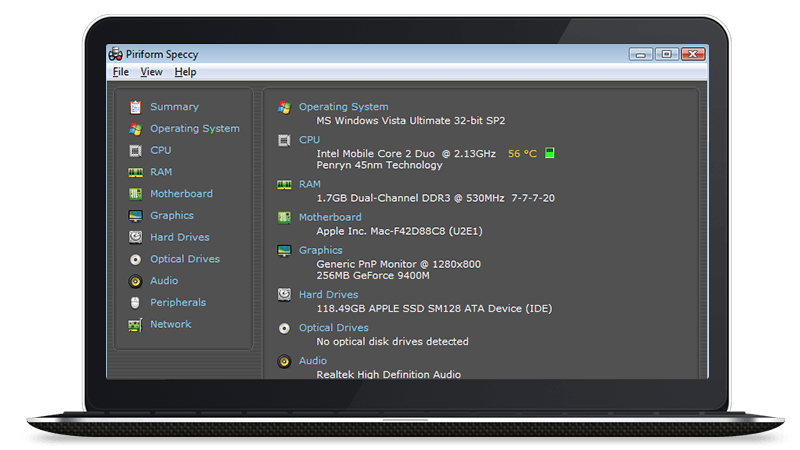 Speccy gives you detailed reports on every aspect of every PC. Get Speccy Business! Get Speccy Business! Live charts and exportable snapshots of CPU, motherboard, RAM, hard drives and more. Speccy's updated regularly to support the latest technology, whether you're running Intel or AMD, NVIDIA or ATI. Speccy Business Edition provides an accurate picture of all your hardware resources. This gives you the confidence to re-assign resources and make more cost-effective upgrading decisions.